Wanted to do a bit more story telling in this. as in the caption all is not as it seems. the guys actually a supervillan in a new max security prison, the droids the security. 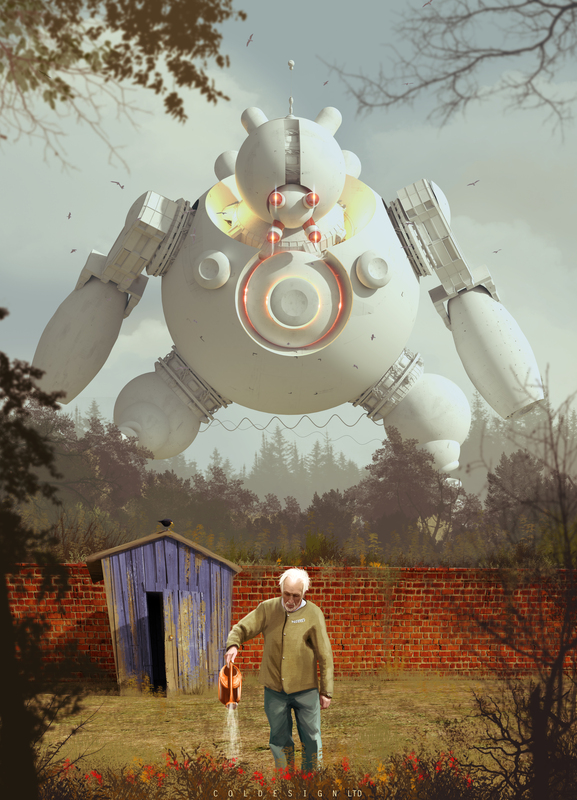 A first glance it looks like the robots coming for him but I like to twist the back story sometimes, make it more fun and people can read there own interpretation into it and own story .